In this video, we will show you how to use our software and what kind of problems you will meet when you use it. There are solutions for kinds of problems in this video. The followings are the screenshots to show you the steps. 1. Please download the software from our colleague’s email. You will find it is a zip file. 2. Please extract this zip file and you will find there are three files in the extracted file folder. 4. There are two modes in our software. One is examination mode and the other is practice mode. Examination mode: you can’t check show correct answers for each question. 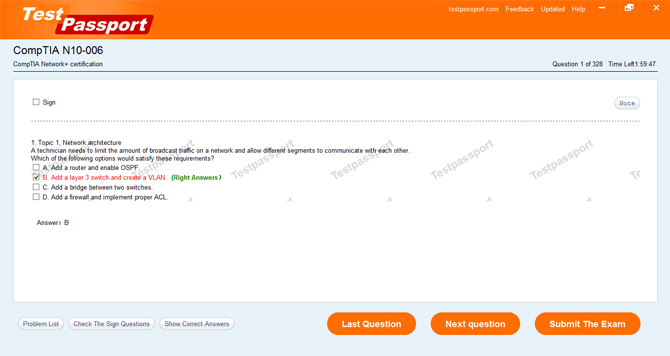 Practice mode: you can check whether your questions are correct or not for every question. There is “Show correct answers” button. Now, you can use it smoothly. 5. For some special exams, we need passwords to protect them. 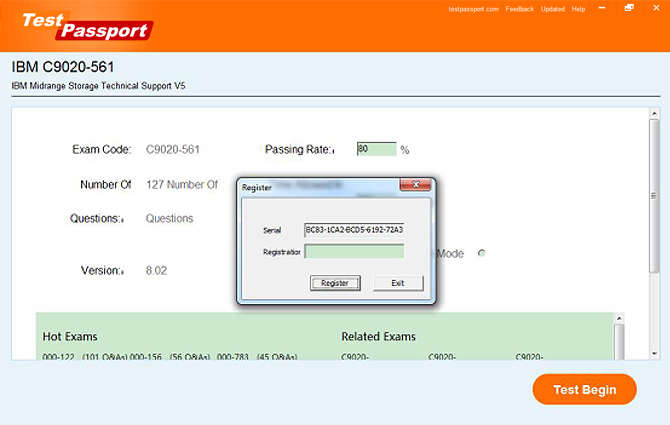 So when you click and run our testpassport software, you will get the following page. In this case, please copy and send the serial numbers to us then we will generate the registration codes to you.